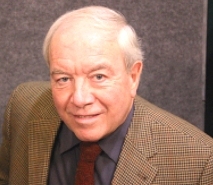 Bob Hoye has been doing economic research for nearly 40 years. During this time he’s uncovered a number of interesting patterns. The after-math of the credit expansion bust that we’re experiencing now is following the same pattern as it always does, gold and silver purchasing power increases. Finally, intervention by the central banks cannot change the economic cycle, although it may cover-up and obscure what’s happening in the present. Central banker intervention is evil and it goes hand-in-hand with authoritarian government. Eventually, the subjugated masses rise up and refuse to allow this group to govern. Perhaps we’re getting to this point now. This article was posted in authoritarian, Bob Hoye, Gold, Silver and tagged government, Uncategorized. Bookmark the permalink. Follow comments with the RSS feed for this post.Comments are closed, but you can leave a trackback: Trackback URL.